ESTROTECT™ Breeding Indicators featuring Breeding Bullseye™ technology are a precision-designed, economic and easy-to-use breeding tool backed by researchers and breeding experts. ESTROTECT Breeding Indicators are the only product of their kind proven by leading researchers. We developed and tested the new ESTROTECT Breeding Indicator on thousands of cows around the world. According to a 2018 third-party, timed-AI beef cattle trial, when the new ESTROTECT Breeding Bullseye is rubbed off by mounting activity, cows are up to THREE TIMES more likely to result in confirmed pregnancies than if estrus is not detected prior to insemination. ESTROTECT Breeding Indicators help farmers identify their animals for the Maximum Opportunity for Pregnancy. Below are results from university-led studies. 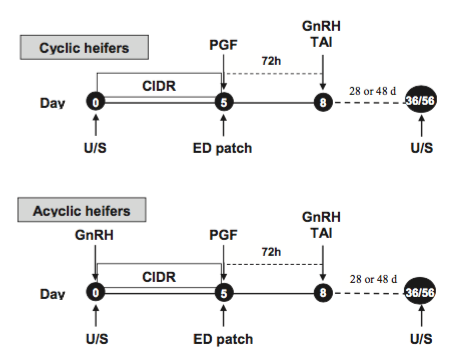 1) ESTROTECT Breeding Indicators help confirm pregnancies in a 2014 fixed-timed AI trial. In the hot and humid 2013-2014 breeding season in Brazil, the University of Missouri used ESTROTECT Breeding Indicators to determine estrus activity in approximately 1000 Nelore females (Bosindicus breed). Patches were applied to cattle when CIDRs were removed from animals followed by Fixed-Time Artificial Insemination (FTAI) 48 hours later. The results in Figure 1 indicated that cows with 50% or more of the ESTROTECT Breeding Indicator rub-off surface removed were significantly more likely to be pregnant after FTAI. Figure 2 provides a more comprehensive breakdown of this study. 2) ESTROTECT Heat Detectors help confirm pregnancies in both AI and natural service operations. 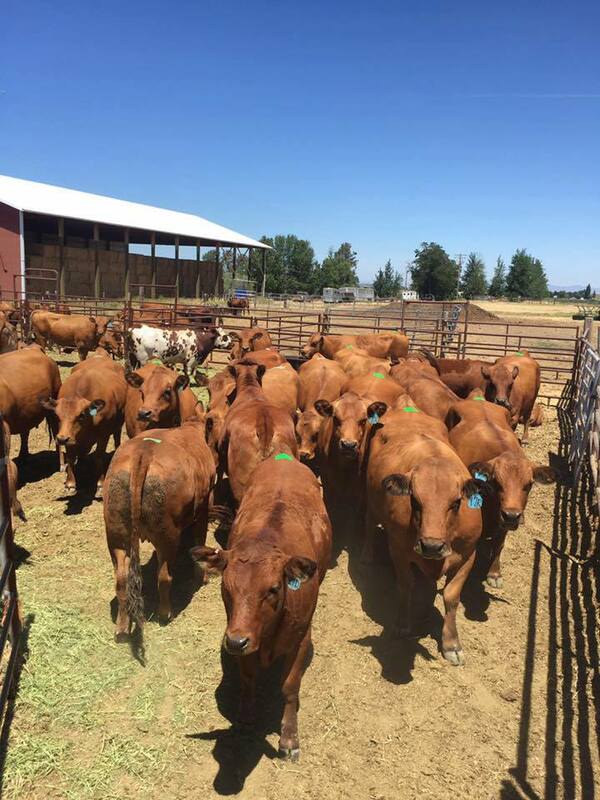 This timed-AI beef cattle trial compared ESTROTECT Heat Detector’s success in confirming pregnancies to blood-based tests analyzed by three different labs. The results showed that ESTROTECT Heat Detectors performed better than or equal to blood-based tests in confirming pregnancy. 3) ESTROTECT Heat Detectors perform As Good As A Bull in determining standing heat. 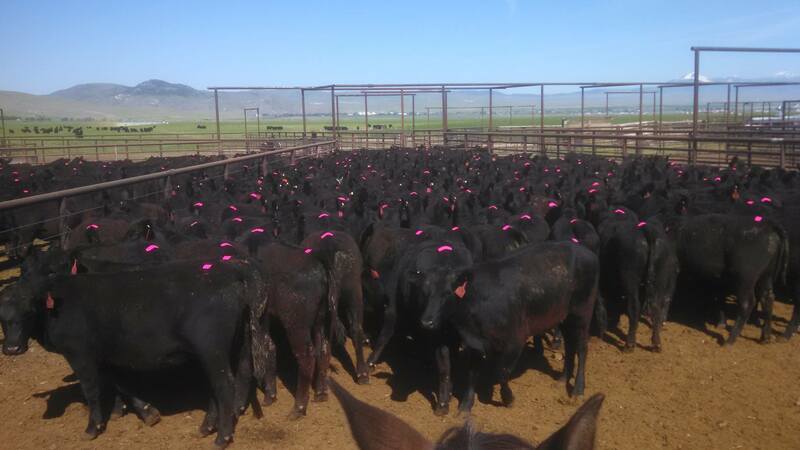 This trial shows that ESTROTECT Heat Detector rub-off technology performed equally as good as a bull and vigorous visual observation (every 3 hours / 24 hours a day / 7 days a week). If you want to target AI expenses where they will have the most impact, consider monitoring estrous response prior to fixed-time AI with proven rub-off heat detection patches from ESTROTECT. Infectious diseases affecting reproduction can create losses all throughout the reproductive cycle, and vaccine programs should be specifically designed based on the needs of your operation to avoid outbreak.